Where do you sew cub badges on their uniform? Cubs earn lots of badges but it isn’t always obvious where to sew them. The guide below will help you. Cubs wear a dark green jumper with blue combat-style trousers. The 2nd Amersham on the Hill scarf is black with a green edge. It is secured with a “woggle”; the colour of the woggle denotes the six the cub belongs to. You must provide a uniform and scarf for your cub. 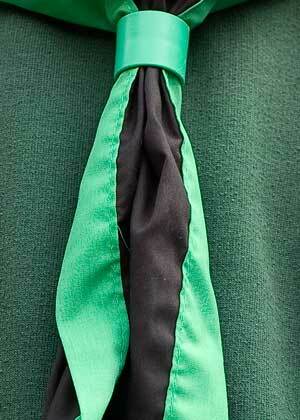 Your cub receives a woggle and badges when they are invested. Fox’s Outdoor in Old Amersham near Tesco sell Cub uniforms and the 2nd Amersham on the Hill scarf. Cub uniforms are also available on-line. 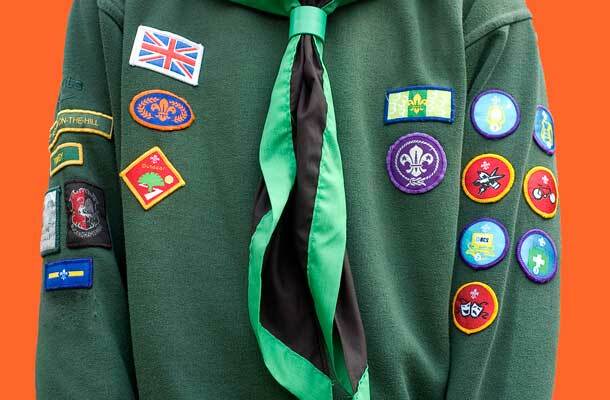 To the left of the scarf is the purple Membership Badge worn by all Scouts worldwide. Above the Membership Badge, sew the small square badges that denote how long the cub has been in the Scout Movement (including their time as a Beaver). To the right of the scarf are diamond Challenge Badges. Cubs earn Challenge Badges during pack meetings as they work towards their Silver Award, which is the highest award a Cub can earn. If the cub earnt their Bronze Award at Beavers, sew it above the Challenge Badges. If the cub attends an international event, they sew a union flag in the position shown. The “pack” badge varies depending on the pack the cub is in; “Milan”, “Trimby” or “Wolf”. 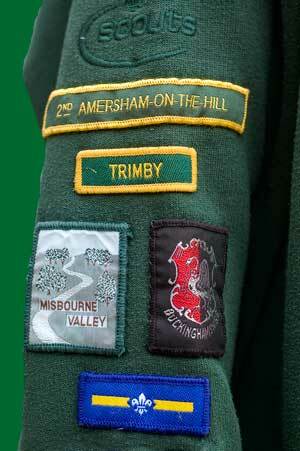 The other badges are the same for all cubs at 2nd Amersham on the Hill. 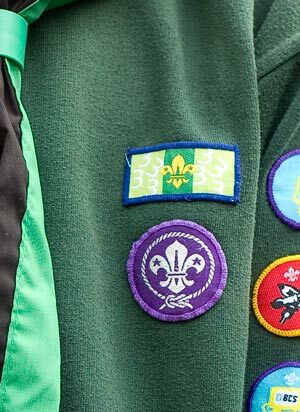 Sew these badges below the “Scouts” logo, in the arrangement shown in the picture. If the cub is a sixer or seconder, sew their rank badge below the other badges on this arm. A sixer’s badge has two stripes and a seconder’s badge has one stripe. Activity badges go on the left arm. These are circular badges that the cub earns during activities at pack meetings. 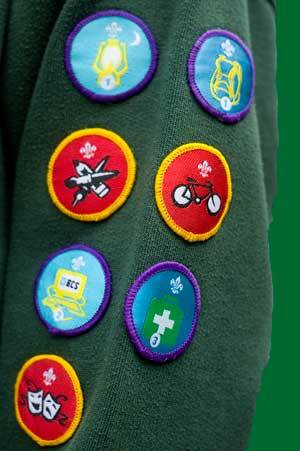 Some Activity Badges are “staged”, ie earnt in stages as the cub progresses through scouts. For instance the “Hikes Away” badge is earnt in 1 hike, 5 hike, 10 hike and 20 hike stages. 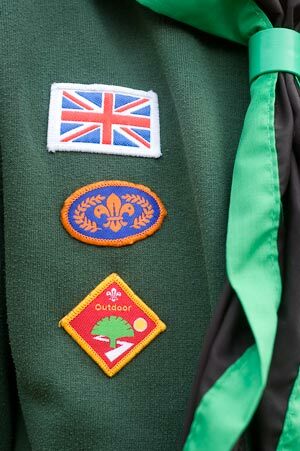 You can sew staged badges earnt at Beavers onto the cub uniform and replace them as the cub progresses. Staged badges have a small number on them to show they are staged. Sew the Activity Badges in two columns.